When VC was back for a break, we didn't fully have a good time together because another friend of ours needed to go home early (actually it is the hubby who wanted to go home early). Thus we arranged for another outing before VC leaves town. This time round, we went to a Spanish restaurant. The Spanish oxtail stew was so good that it really got me wanting more. When I sent my girl for a workshop, I went to a market in the East. I happened to chanced upon them at the wet market. Without a recipe on hand, I bought a kg. 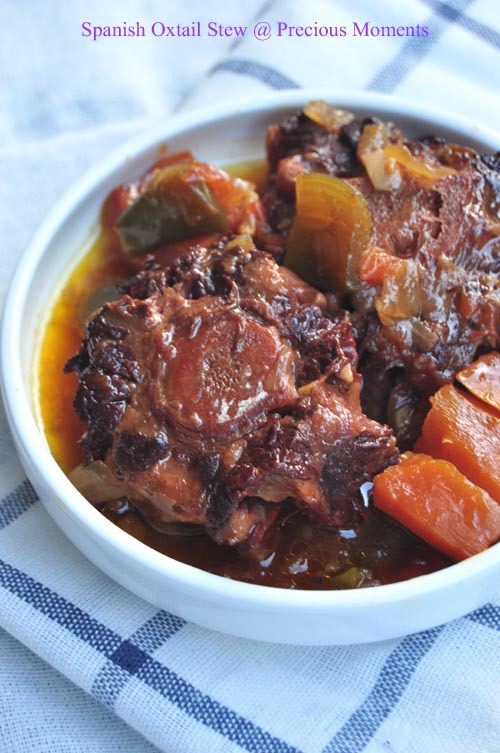 I have never cook oxtail before but I heard that it is a long cooking process. Nevertheless, slow cook food is always a comfort food. I gave myself credit that I was able to have meat falling off the bone. Though it was not actually the same taste as I wanted, I guess for the time being, it is enough to stop my craving. I think I need to hunt down where I can buy dry sherry as indicated by this recipe and only then I can be fair to give a fair review. Pour a few tablespoons olive oil in a large heavy-bottomed frying pan. Heat pan on medium. When oil is hot enough, sauté onions until translucent. Remove from heat and set aside. Pour 4 Tbsp olive oil in pan and heat on medium. Brown oxtails on both sides. Brown the rest of the ingredients together with the oxtails, stirring often for about 5 minutes. Then, pour in the sherry. Be sure to stir often so that the mixture does not burn. Slowly simmer for about 2 - 3 hours till meat is tender soft. Since we were all too lazy to go out and have been lazing around the house. 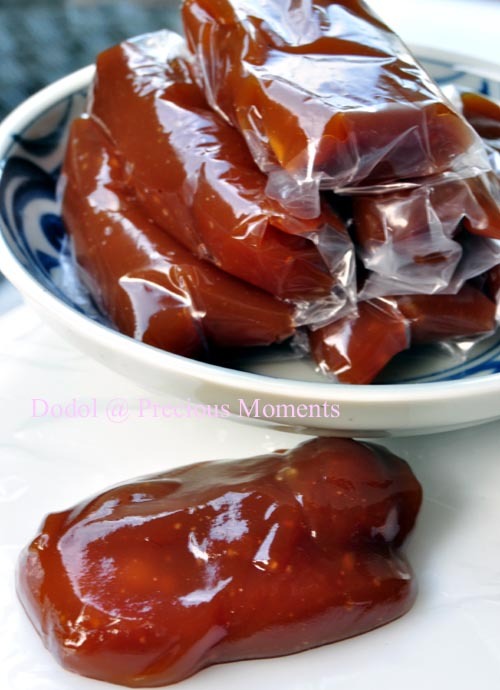 I went ahead to make Dodol that I learnt some months ago. A very tedious process but the result was super good. Unable to share this recipe as the teacher is still teaching this. You can get dry sherry from cold storage, saw it there before. But nowaday I don't shop there. Alternatively, you can use red cooking wine too. They give the same sourness to the dish that make it yummy!